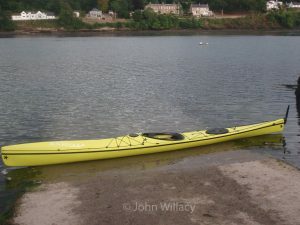 Notes: The original prototype was known as the ‘Tarran’, the second ‘r’ was later dropped in the name of the production boat. 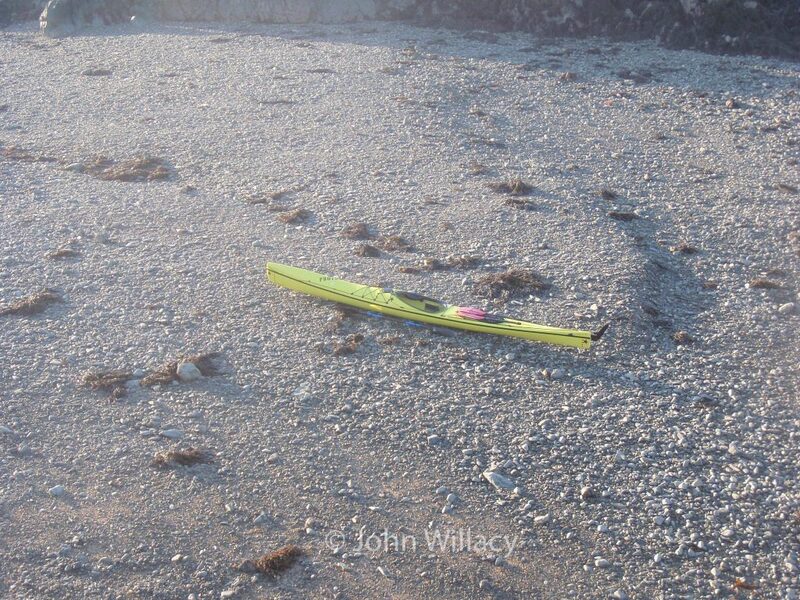 There was no front hatch in the prototype Tarran. 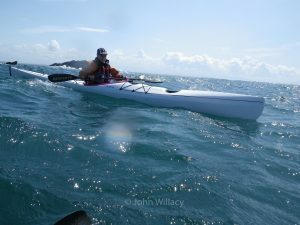 It was omitted in order to get a boat on the water in time for a chance at the Anglesey record before the season drew to a close. 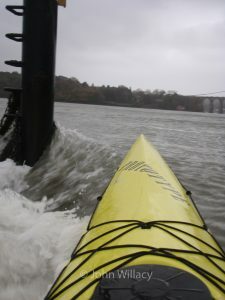 Note the high swept deck on the stern, lowered in the production boats. 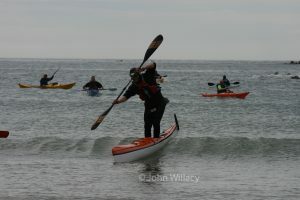 The Tarran first took to the water on 18th August 2009. 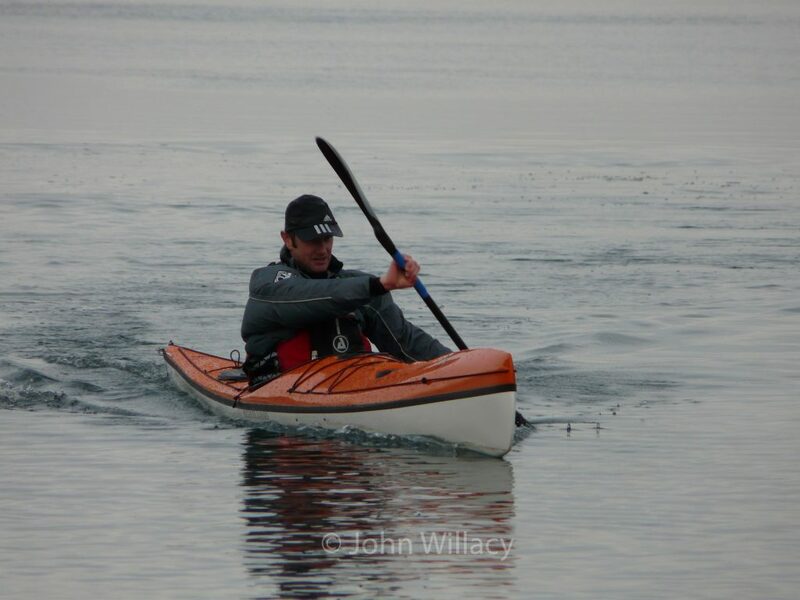 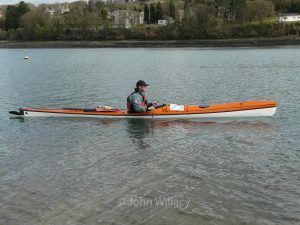 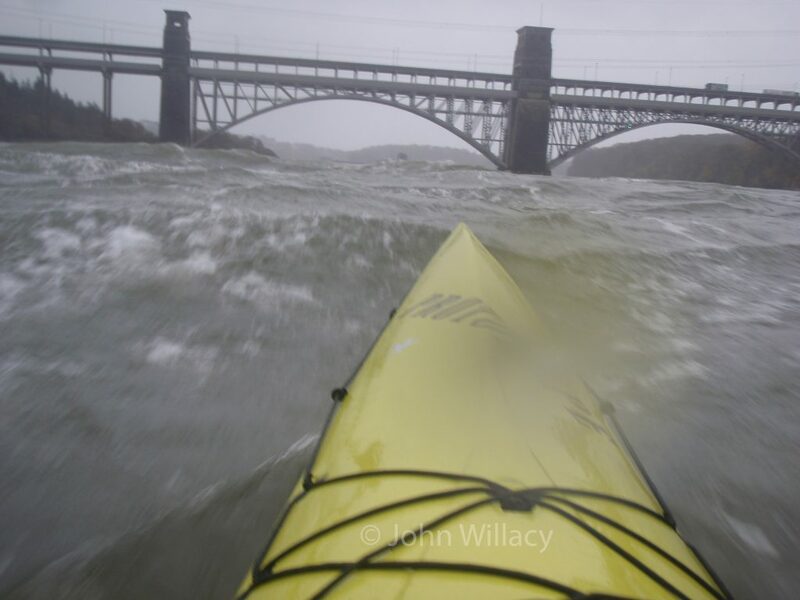 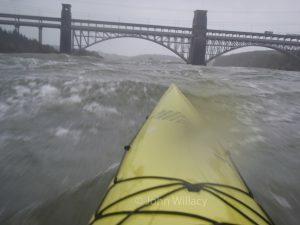 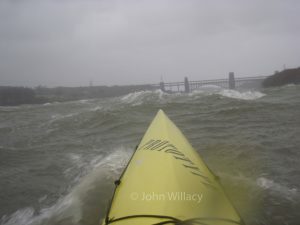 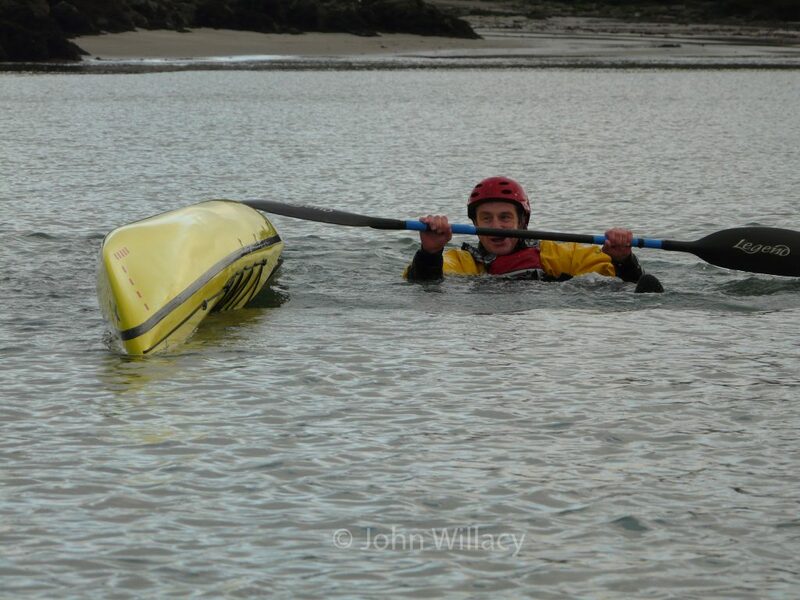 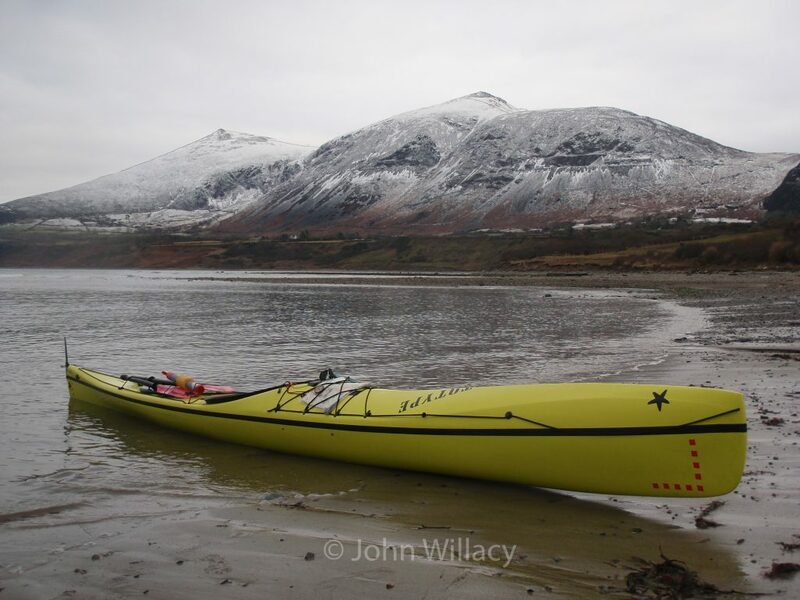 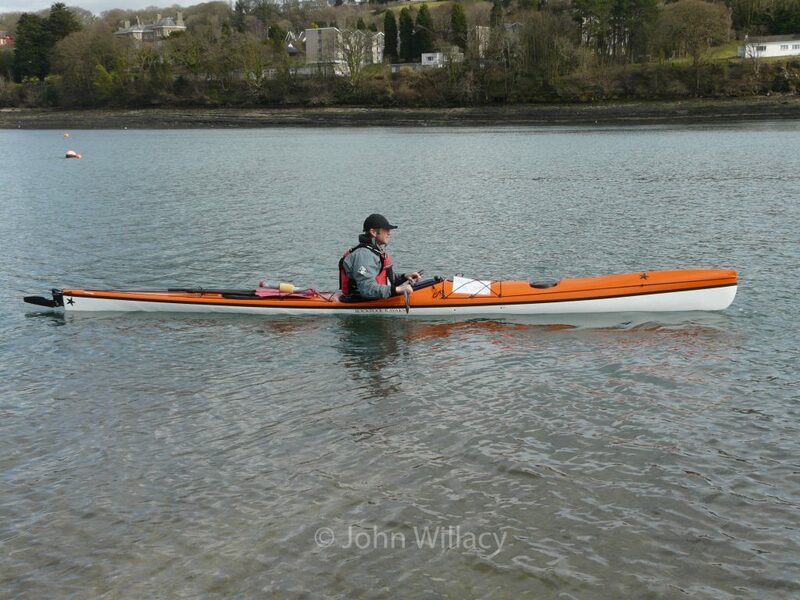 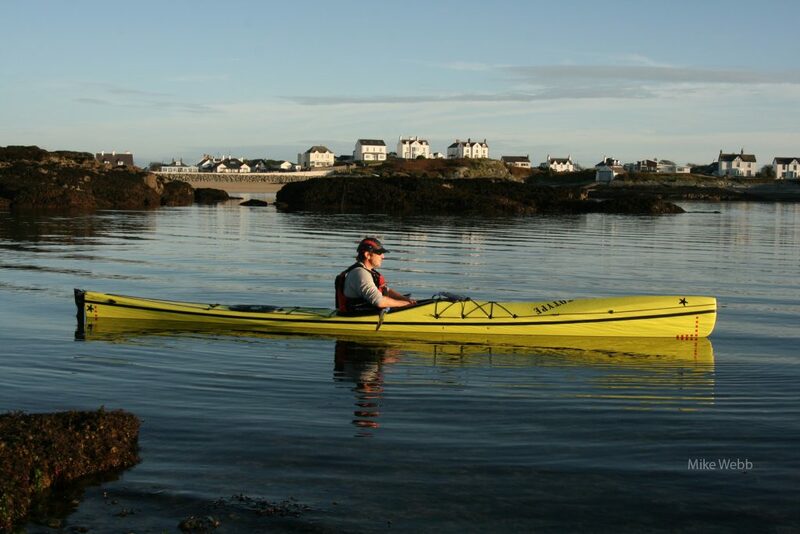 I took it down to the Menai Straits to paddle it on moving water for the first outing. 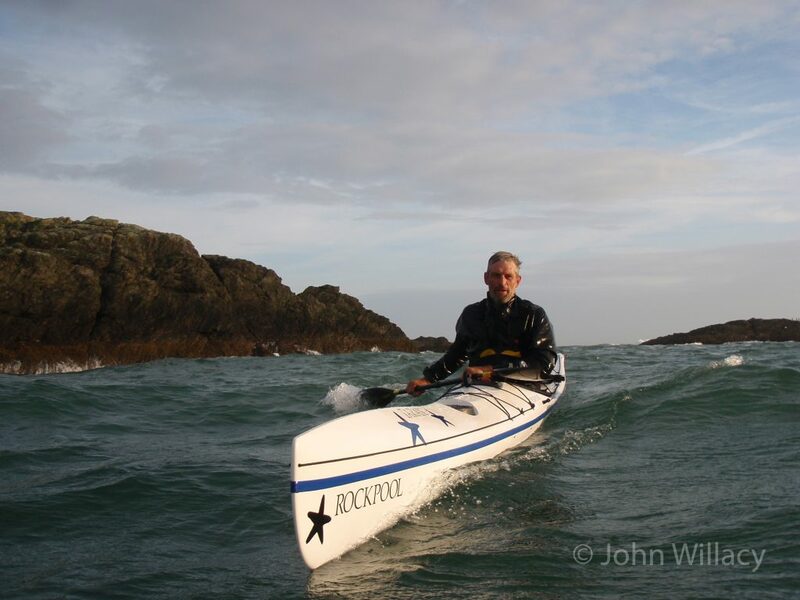 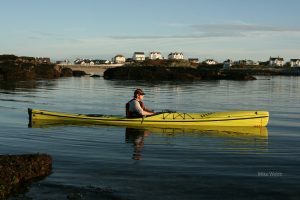 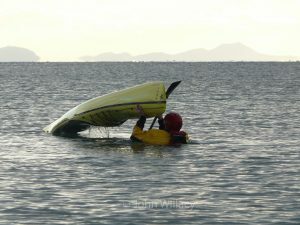 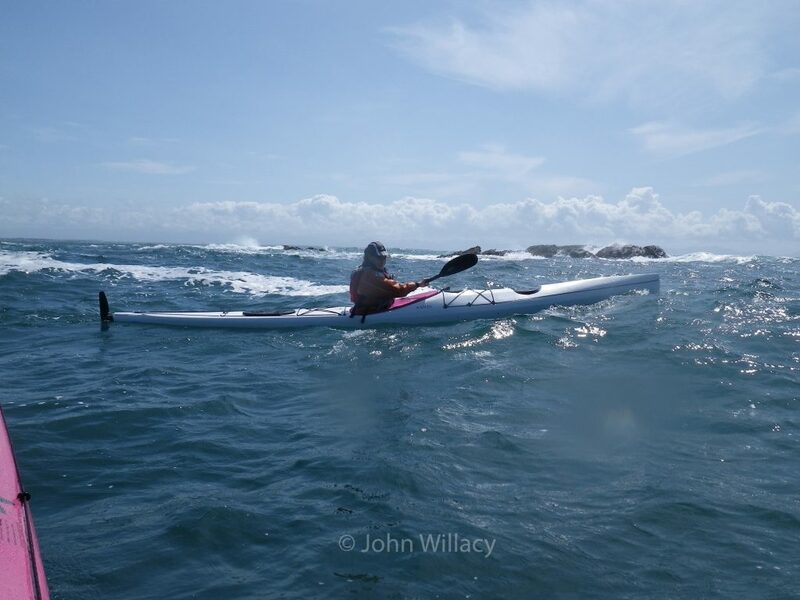 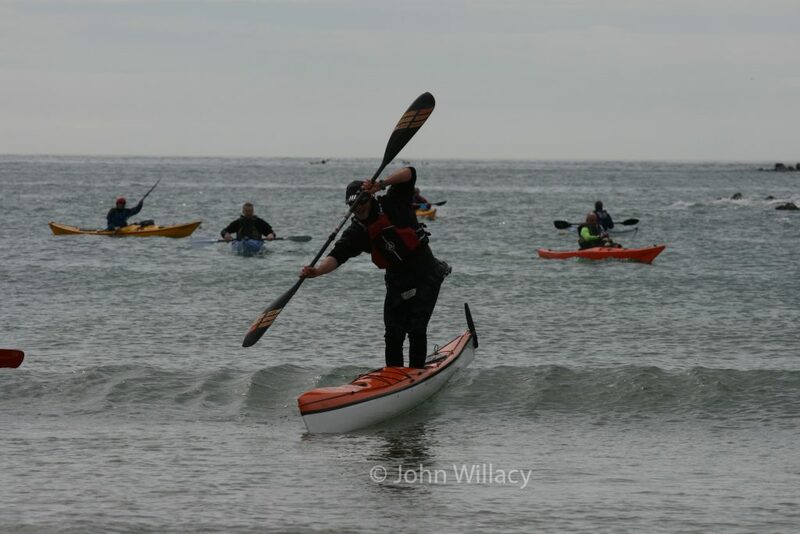 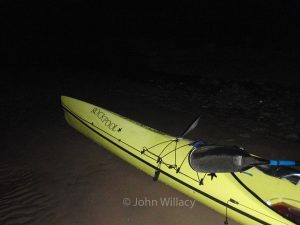 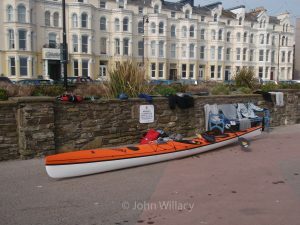 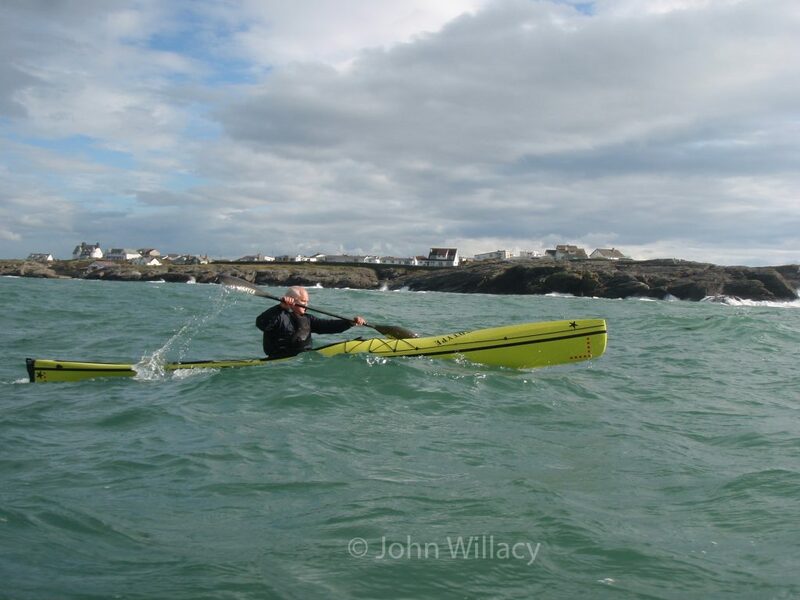 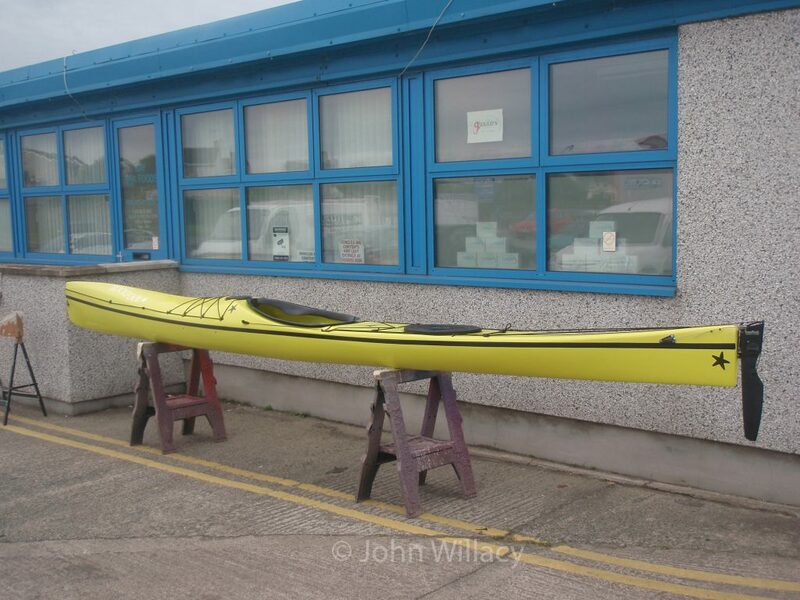 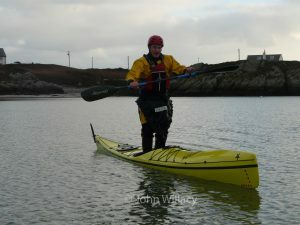 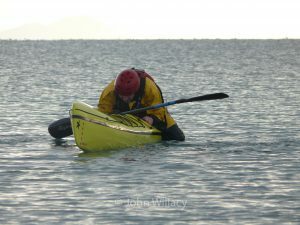 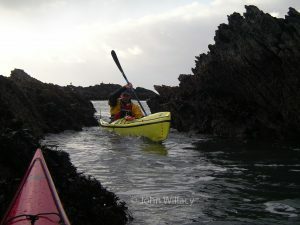 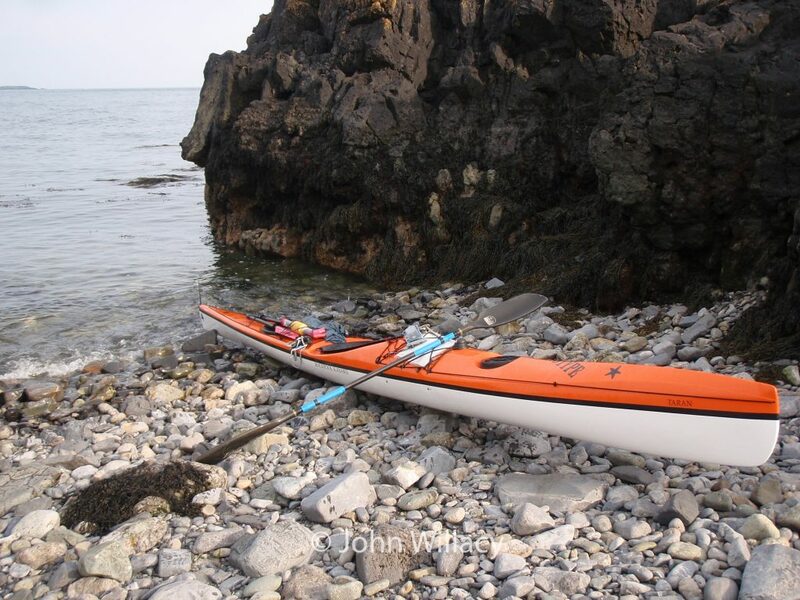 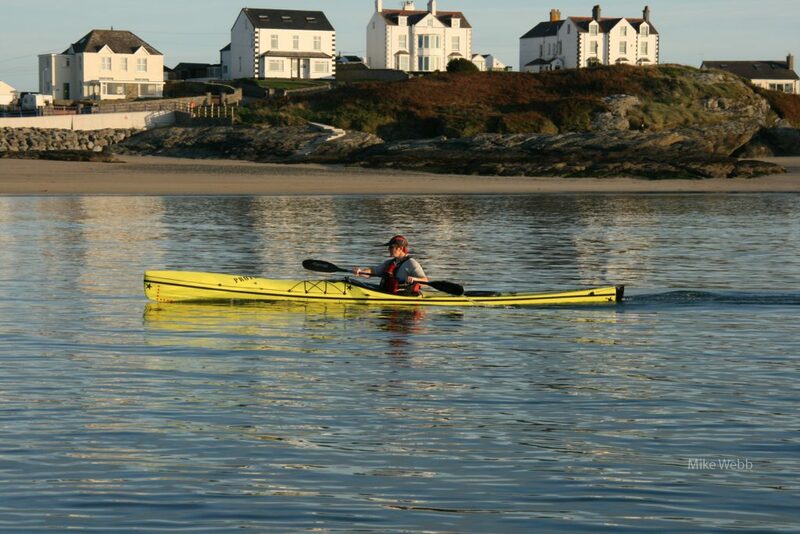 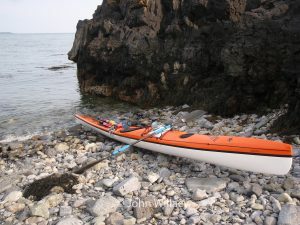 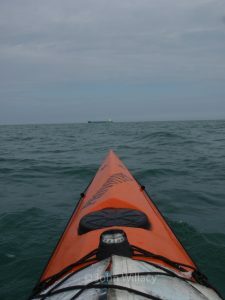 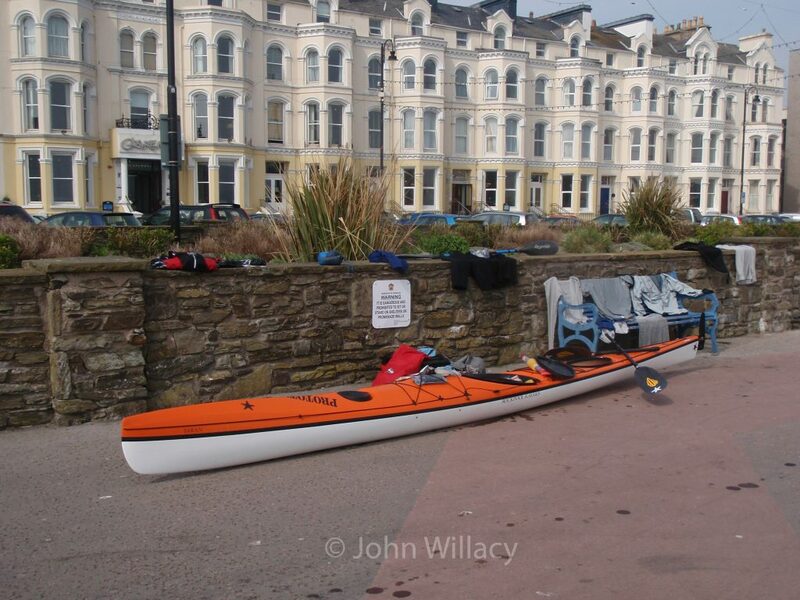 Three days later I paddled it around the island of Anglesey, a 60+nm trip. 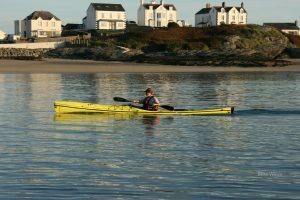 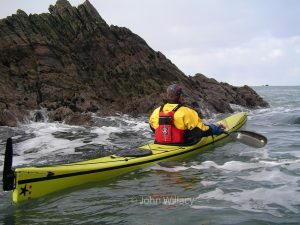 Over the winter a variety of testing followed: trips to the Skerries, strong wind testing in the Straits, a paddle across to the Lleyn, rockhopping at Rhoscolyn, wet sessions and many miles along the coastline. Work continued in the factory too; I was shaping the new plug, putting the points learnt from testing into the updated boat. 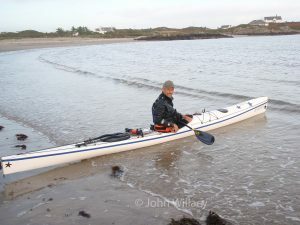 In March 2010 the next prototype was launched. 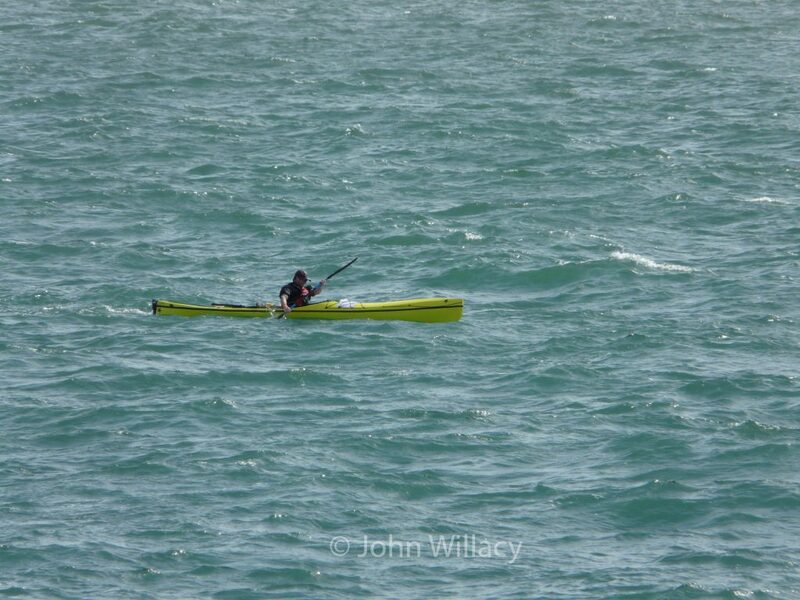 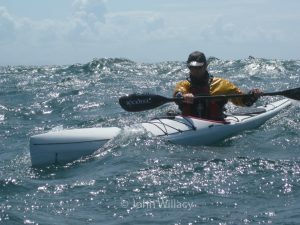 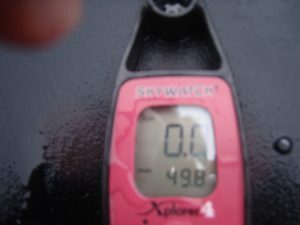 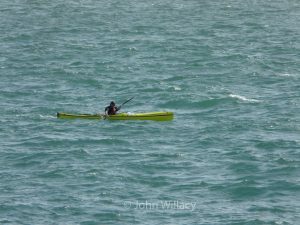 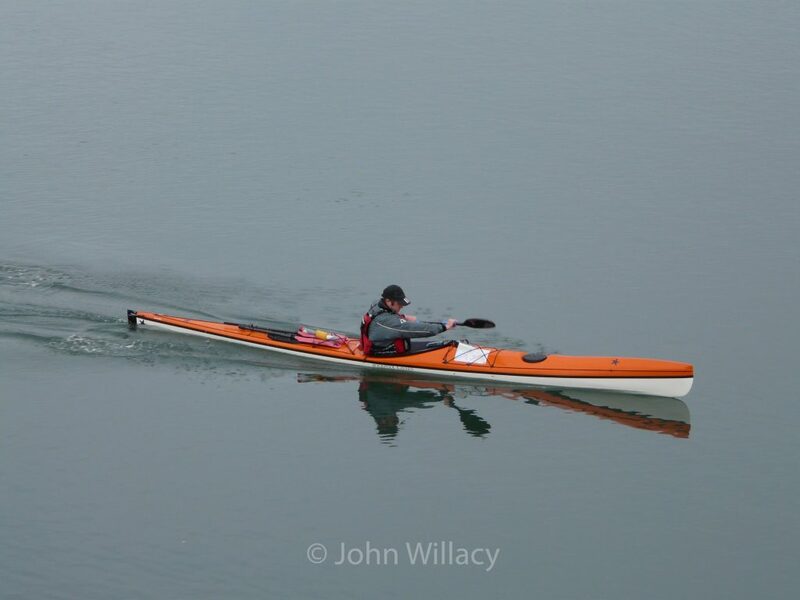 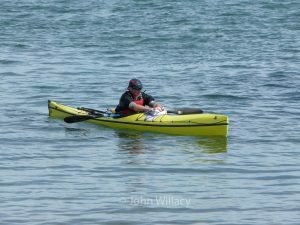 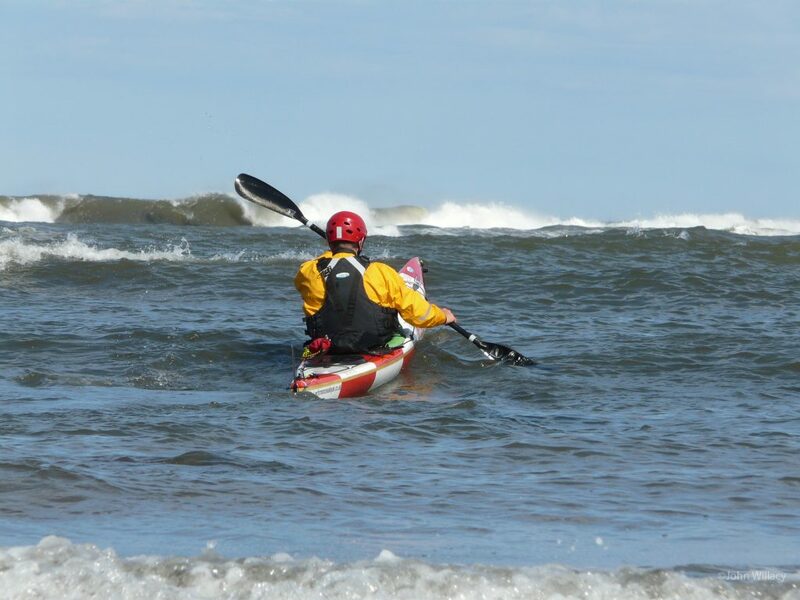 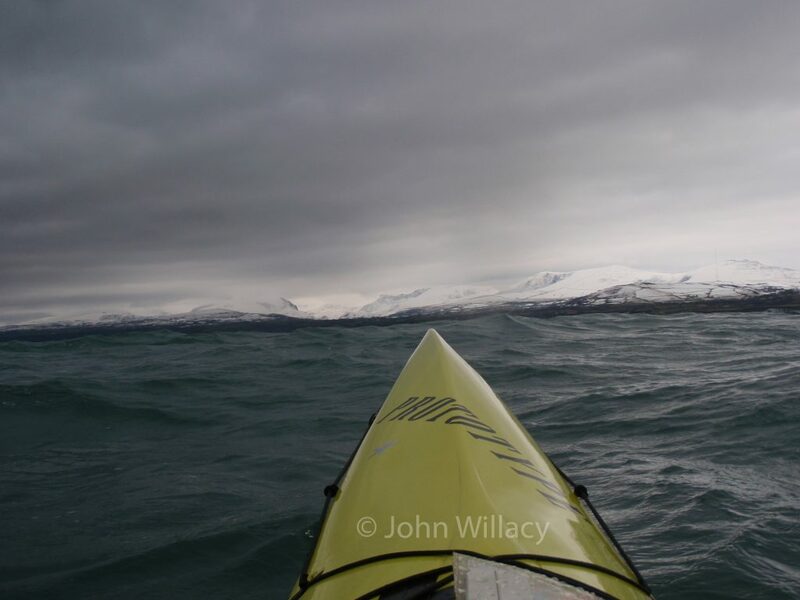 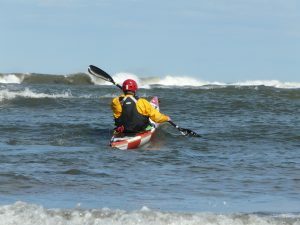 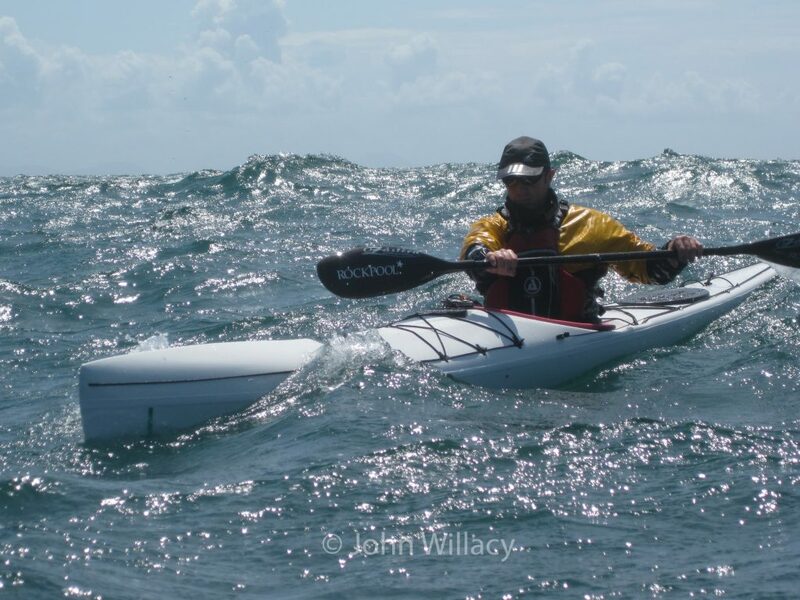 In April I paddled it over to the Isle of Man, a 40+nm crossing. 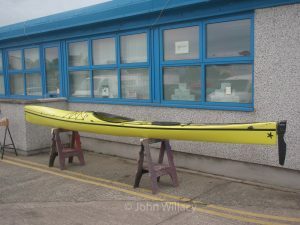 We were happy with things, I made a few minor changes to the plug and in the summer of 2010 the production mould was completed. 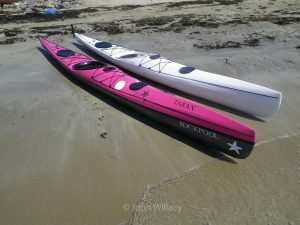 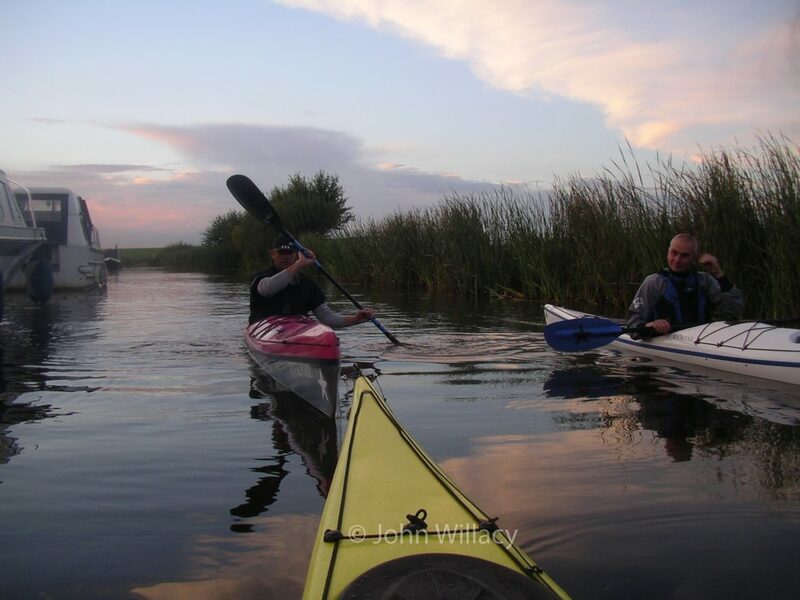 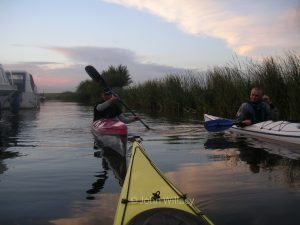 Once the Taran was in production I started work on the Taran 16 (on the water in 2011 – provisionally named the Manta), but that’s another story. 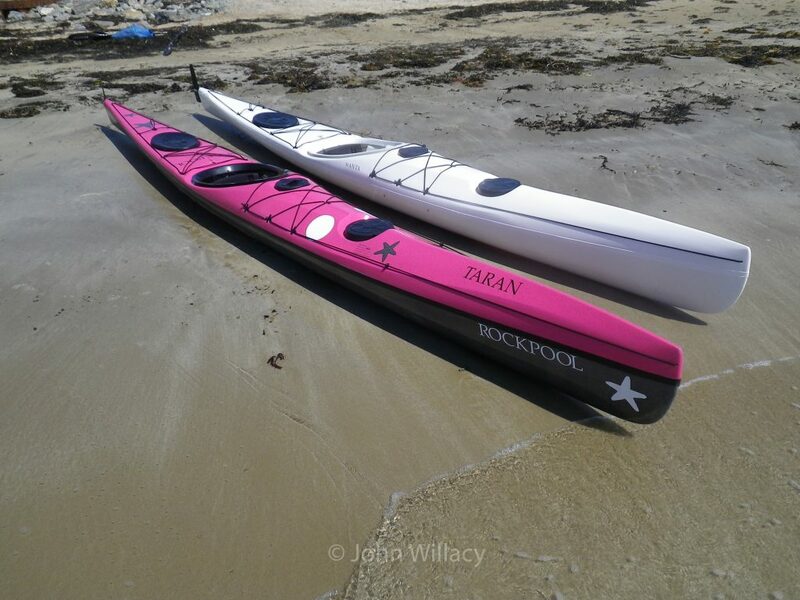 Rockpool more recently introduced a low volume version of the 16, the Tarantella. 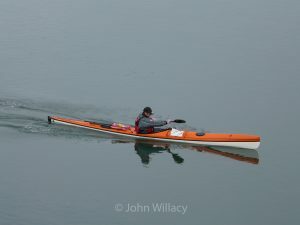 The Taran has had a few minor changes over the years: the deck-fittings layout has been altered, a rear day hatch added, and seats adjusted – but overall the hull remains as per the first production boat that was paddled in 2010.